Alfalfa supplies many nutrients to the body. 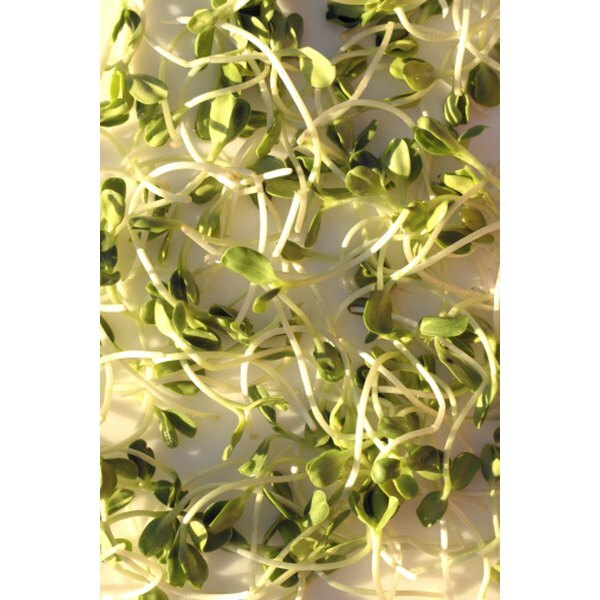 Alfalfa is available in the form of flowers, leaves, petals, sprouts and seeds. According to the Belgravia Centre, its name comes from Arabic and is translated as “Father of Plants.” The reason is that it contains a sizable amount of vitamins, protein and minerals. Alfalfa is claimed to prevent hair loss and restore it. Phyllis A. Balch, author of "Prescription for Nutritional Healing," says alfalfa must be used in its fresh and raw form to provide all of its nutrients, and the alfalfa sprouts are especially effective. Alfalfa is a rich source of vitamins. According to Balch, alfalfa contains vitamins B1 and B6, both of which are important for health and growth of the hair. Alfalfa also contains vitamin C, which aids in improving your scalp circulation and helps with the antioxidant action in your hair follicles. Vitamin E is also found in alfalfa. Vitamin E increases oxygen uptake, which improves the circulation in your scalp, thereby improving the health and growth of your hair. Hair is made mostly of protein, and alfalfa is high in protein. Protein encourages hair growth and the stimulation to the roots of your hair. Alfalfa sprouts, seeds and grain added to your diet regimen would provide a complete protein, says Balch. Alfalfa contains calcium, iron and zinc. All these minerals help reduce and prevent hair loss. Zinc stimulates hair growth by enhancing you immunity, says Balch. She recommends using zinc gluconate lozenges or OptiZinc for best absorption. Iron is important for hair growth, and a deficiency in iron may be associated with hair loss. The silica provided in alfalfa is a valuable nutrient for your hair health. 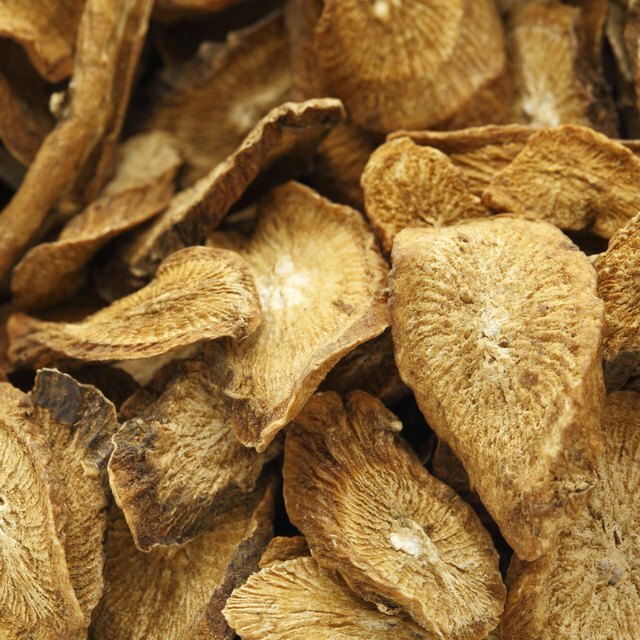 Silica has been shown to slow hair loss and helps prevent baldness, says Balch. Silica may stimulate healthier hair growth and strength, and possibly contribute to re-growth of your hair. Alfalfa juice in combination with carrot and lettuce juice help the growth of hair to a significant extent, says H.K. Bakhru, author of “Herbs That Heal: Natural Remedies for Good Health.” You must drink it daily. The silica and nutrients found in alfalfa, along with the carotene and minerals in carrots and lettuce, make a juice that helps prevent hair loss and is beneficial to the roots of your hair, explains Bakhru. Lori Brown has been writing professionally since 2007. With expertise in whole health living, she writes for health and fitness magazines and websites. Brown is on the AADP as a Health Coach from the Institute for Integrative Nutrition and is a Fitness and Success Coach.